It’s that time of year again. 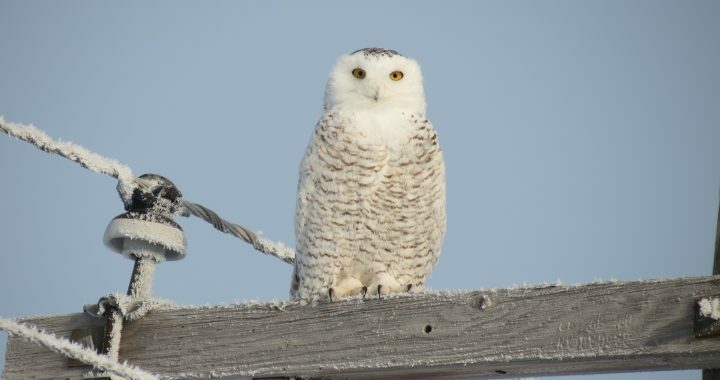 Snowy Owls are on the move and being spotted in many locations. In fact, I just saw the latest posting on my local birder site that there are two Snowy Owls just a half hour away from my house here in Northern Kentucky. That is pretty far for a Snowy Owl to travel considering that their breeding grounds are in coastal Alaska, Canada, Greenland, northern Scandinavia, Russia, and Siberia. 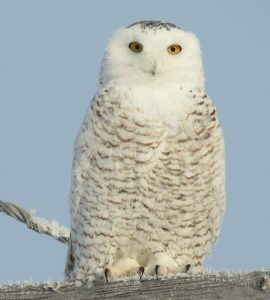 Normally in winter you will find Snowy Owls in Canada and the northern United States (Michigan, Minnesota), Iceland, the British Isles, northern Europe, central Russia, northern China and Sakhalin. However, about every couple of years these owls move a little farther south than usual such as in Northern Kentucky where I live. That isn’t the farthest that this owl has traveled though. They have gone as far south as Oklahoma and northern Alabama in some years. As you can imagine local birders get pretty excited about this irruption as they call it. That is because the Snowy Owl is such a striking owl with its all white coloring that has speckles of charcoal grey on its body. It is such a beautiful sight to see too. Why Are Snowy Owls On The Move? A Snowy Owl’s diet includes Arctic hares, mice, ducks, and seabirds. 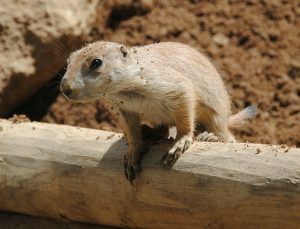 However, their favorite is the lemming which is a small mouse-like rodent. The Snowy Owl may eat up to 5 each day, 1600 per year. Lemmings populations are cyclic so when there is an abundance of them it helps the Snowy Owls to produce in numbers. This population explosion means more owls but less food so they travel south (up to 2000 miles) in search of new hunting areas. Snowy Owls like the tundra so any open area such as an airport, open field, large parking lot, and marshes and beaches without trees are some good places to look. The ones that have been spotted near me happen to be at the Kentucky Speedway for race car driving. Another one was seen more north in Ohio (just across the river from me) right next to the expressway and close to an open field. They like a perch with a view so check in any of these types of areas and look on utility poles, fence posts, buildings, hay bale, osprey nesting platforms, on top of barns, high up in trees, or anyplace that is escalated. You cannot miss them with their all white coloring against the grey or blue sky. Additionally, you may also spot them nabbing their prey on the ground. If you are lucky enough to find a Snowy Owl don’t get so close to them that you will flush them. You will know because it will be staring right at you. By flushing the owl you make it move to unknown territory which may be unsafe for the bird. I mentioned earlier about a Snowy Owl that was spotted near the expressway. While this one is still hanging around the area, other Snowys have not been so lucky. People get too close to the owl and cause it to fly off and right into oncoming traffic. Quite a few Snowys have been killed because of human carelessness. So please be considerate. Snowy Owls live mainly in the arctic on the tundra, open treeless areas. When fully grown a Snowy Owl can grow up to 24 inches tall with a 60 inch wingspan. Snowy Owls are one of the heaviest owl species in North America. This is because of the many feathers that it has for insulation in order to endure the arctic temperatures. Their feet are also covered with feathers for additional insulation. Males tend to be all white while the females have the spotted dark streaks. Juveniles have black feathers until they turn white. Snowy Owls are diurnal, they hunt both day and night. Snowy Owls are often seen at airports because of the open field. 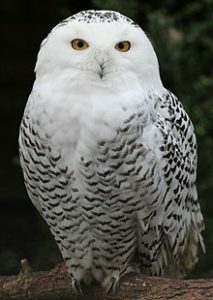 Other names for this owl is the Arctic Owl and Great White Owl. Snowy Owls nest right on the tundra. They prefer slight, windswept rises that will be dry and blown free of snow. Snowy Owls do a lot of sitting. They sit still in the same spot for hours, occasionally swiveling their head or leaning forward and blinking their big, yellow eyes to get a closer look at something. Snowy Owls are monogamous and pairs for life. In the wild a Snowy Owl can live up to 10 years of age. In captivity the oldest was 28 years old. Snowy Owls eat up to 1600 lemmings a year. Snowy Owls are on the move right now and have been spotted in many locations including here in Northern Kentucky. Every few years we have an irruption of these owls and that is because their food supply is low in their breeding areas in the arctic regions. You may be able to locate one yourself if you live near an area that is tundra-like such as a large open field, an airport, or even on a racing car speedway where one was found yesterday near me. You just never know. If you are traveling along areas such as this look high up on telephone poles, on top of barns or buildings, or even near the expressway. You can’t miss this beautiful, all white owl against the blue or grey sky backdrop. Just don’t get too close to them where you will disturb them. They are out of their normal territory and may get confused or even killed. There have been too many of these beautiful owls that never make it just because of careless people. Enjoy them but don’t disturb them! Have you seen a Snowy Owl yet? I would love to know about your experience. Please feel free to share below. Posted in Owls, Raptors Birds of Prey.